So where the hell is RavCon? Or what is RavCon? Sounds like ComiCon. At least I know who the Man from RavCon is. It’s Mike Brown and Mike is a one man show. “The Puzzle Master” is his latest opus and it is album number 7 for Mike. I should mention that Mike is a busy guy as he usually releases an album each year. 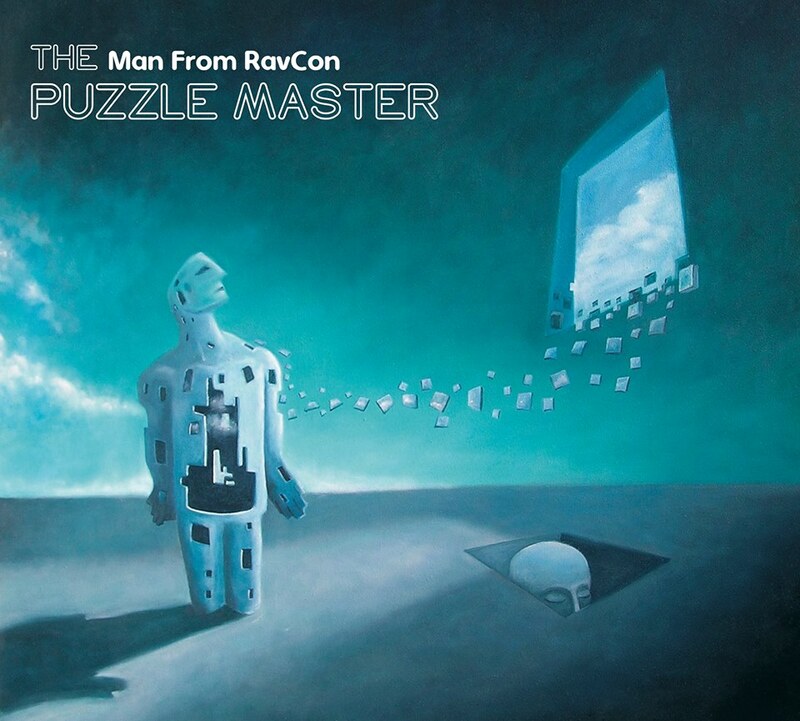 Musically, “The Puzzle Master,” like all of his releases, is an all-instrumental affair. Pinning down one style is too hard though. The album goes from a post-rock/synth vibe on the opening track “Erebus,” to a beautiful, majestic acoustic driven piece in “Monument,” and then a piano based song (with a mellotron backing it) on the third track “Winter.” So we are three songs in and Mike has already jumped around a bit, but that’s really the strength of the album. Instrumentals need their own unique identity because without words, the music MUST convey the emotion and the imagery. That can be tricky for some bands. Fortunately, since Mike can really change it up so easily song to song, the listener always is keely aware that they are experiencing a new piece of music when the songs change. I honestly had no idea what to expect when the Man from RavCon sent me the CD to listen to and review it. The music is very well written, intelligent and quite enjoyable. If Alan Parsons and Goblin were to jam out and do something unique, they might sound a bit like what Mike Brown has done here.